New Delhi: In an ambitious move to make India free from waste by October 2, 2019, the government had launched a massive waste management project in 4,000 cities across the country on June 5, 2017, on the World Environment Day. 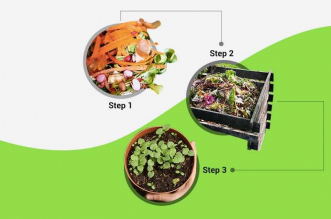 The project launched a nation-wide guideline for waste segregation, wherein individuals need to follow a 2-bin system and segregate their waste at source. The state governments and municipal corporations distributed two separate bins to everyone – blue dustbin for dry waste and green dustbin for wet waste. 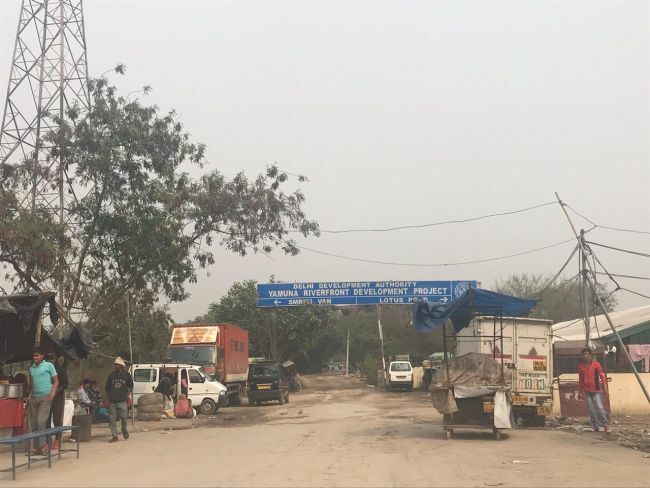 Nearly two years down the line the on-ground reality in major cities of India, such as the national capital region of Delhi, indicates that waste segregation is yet to take off and so a dream of a Clean India where waste is scientifically handled, remains a difficult one to achieve by October 2, 2019. 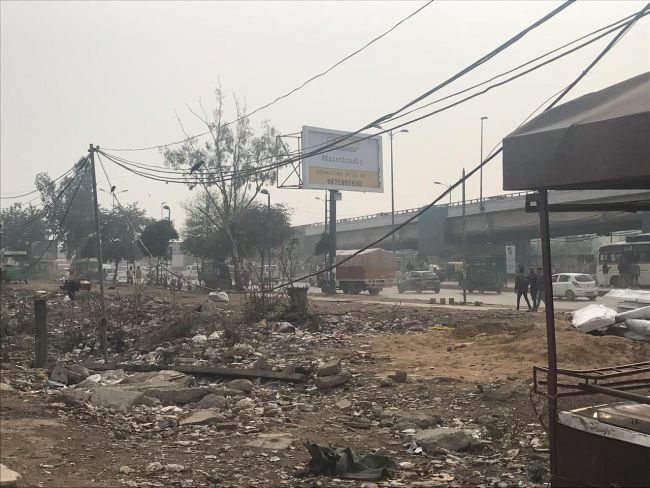 For a ground reality check of waste management measures adopted in New Delhi, the NDTV team undertook a day’s field trip to one of South Delhi’s most busy locations – Sarai Kale Khan. The area is always crowded, with the constant flow of people and traffic. 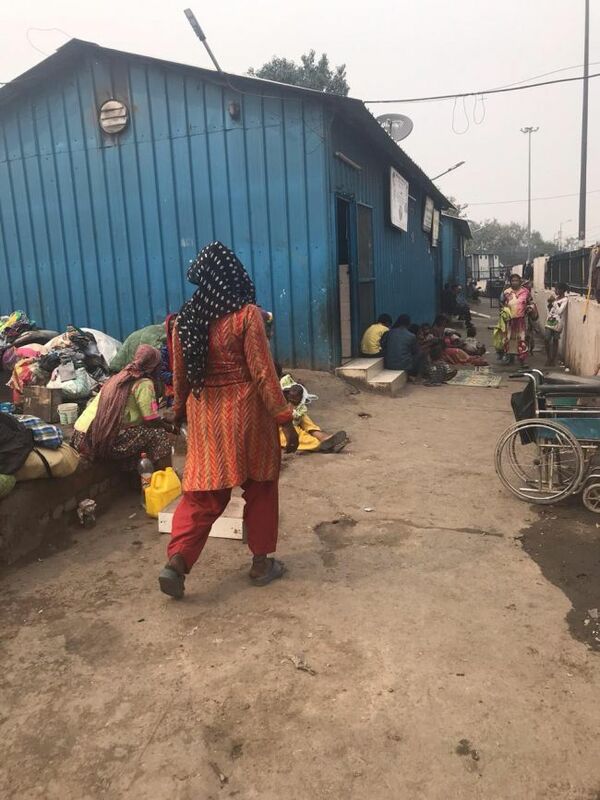 Apart from residents and commuters flocking the area, the 10 kilometres radius of Sarai Kale Khan area also has 50 shelters built by the Delhi Government for the homeless. In these shelter homes, Swachh Bharat Abhiyan is only limited to access to toilets. No one here knows what waste management is..
Each of these centres has on an average 50-60 people residing. 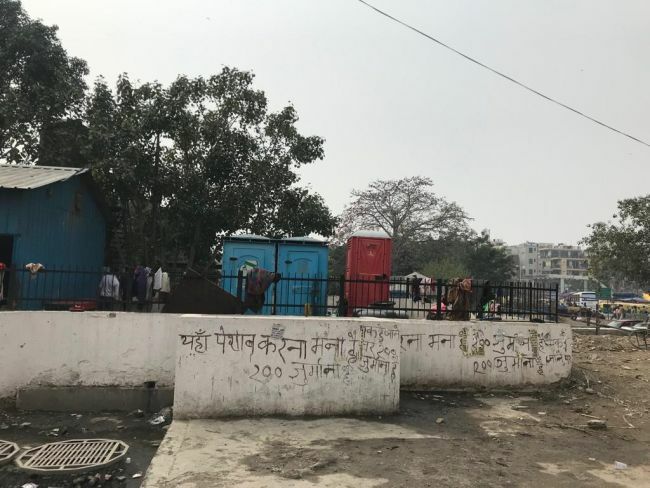 The walls of shelters are painted with dim grey and black colour messages like ‘Swachh Bharat, Swachh Delhi,’ ‘Open Urination and Open Defecation are prohibited’, ‘Keep The Area Clean’ and so on, but reality overlooking these walls is contrary to these messages. Ironically, right next to these swachh messages, one can find piles of garbage, with millions of flies hovering over the dumps. The air around these shelter homes is heavy with the stench of urine, making the problem of open urination in the area evident. Some of the mobile toilets that have been installed are dysfunctional, while some are too dirty to use. Apart from open defecation, the other worrisome part is the fact that thousands of people living here simply dump their waste in their surroundings, without any semblance or idea about proper waste management. Kachre ka kya hai, jab aaya tab hi hummnein peeche pheka (Garbage is not a problem, whenever we generate it we dispose it of by throwing it in our backyard. In the name of Swachh Bharat Abhiyan, the authorities have only given us the access of these mobile toilets. No one ever taught us where we all should be disposing of our waste. There are no dustbins here, nor has any sanitation worker been allocated in these areas who can come and collect the waste. Since we have no options, we simply throw the garbage in the backyard. The problem is that the garbage stinks a lot, sometimes, I wake up to this smell, while sometimes, I fall asleep with this mess. Because of the stink, I prefer staying outside on the roads. 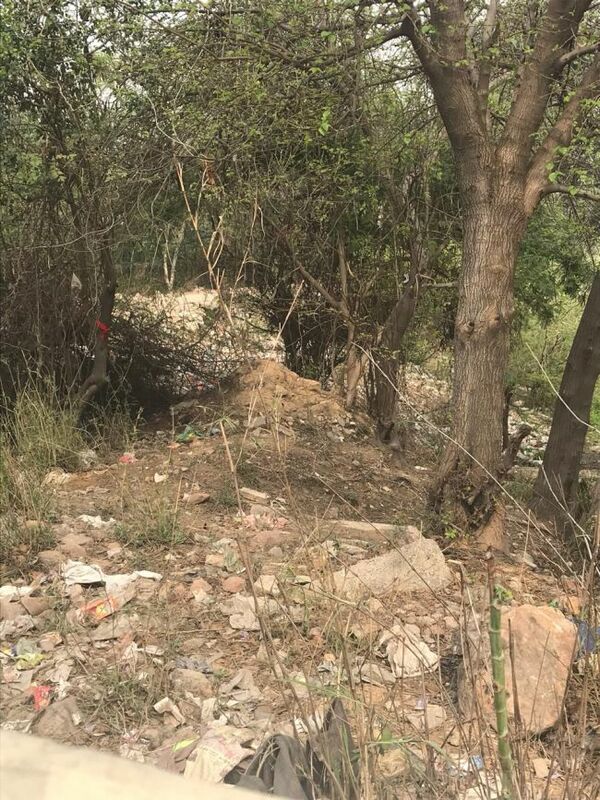 Sarai Kale Khan Field Trip Findings: Why Is Garbage Piling Up? None of the people in the shelters built by the government have been given any training on how to manage their waste nor any shelter homes are equipped with proper waste collection and disposal facilities, as a result, the people living in these homes have found a short cut to get rid of their waste throwing the waste behind the shelter homes. So all the shelter homes have their backyards filled with all sorts of waste that emanate revolting stench and make the surroundings unhealthy. The problem is that Swachh Bharat Abhiyan is limited to the societies and colonies of Delhi. 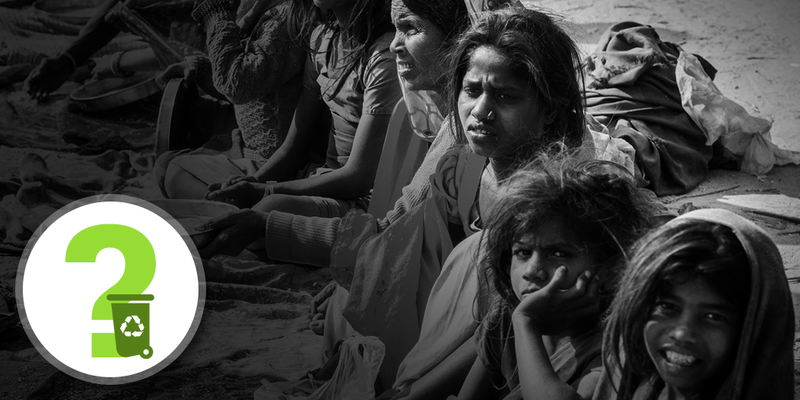 The municipal corporation or the government has never come to these shelter homes and guided the homeless on how they can contribute towards the nation’s biggest movement – Swachh Bharat Abhiyan. These people understand the meaning of living in clean surroundings, but the problem is that they have no facilities. When we were asked to make these shelters by the Delhi government, we were simply been asked to provide home-stay facilities and toilets. So, we made the arrangements accordingly. Currently, nothing has been told to us for waste management facilities. When we make these facilities, we hand it over to caretakers, it then becomes his/her duty to take care of the property. Yes, we do ask people to clean the toilets after they have used it. But, nothing on the garbage we have ever told these people because it is Municipal Corporation’s job. Till today, there are no waste management facilities here, these people end up throwing the garbage in the backyard only. In fact, no one has ever come to these shelters and has checked on how people living here are managing waste. Sarai Kale Khan falls under the South Delhi Municipal Corporation (SDMC). According to the South Delhi Municipal Corporation, from the time waste segregation rule came into effect in 2017, Rs 7.7 crore has been spent on the installation of twin-coloured bins (Blue bin for dry waste and a green bin for wet waste). But so far the impact of this effort is not visible in areas like Sarai Kale Khan. 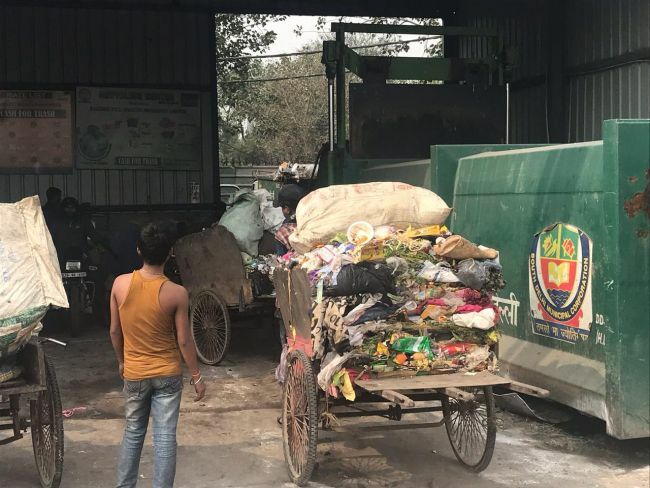 On NDTV’s visit to the nearby kachra (garbage) centre of Sarai Kale Khan area, we spotted huge green bins that were filled with the mixed waste. 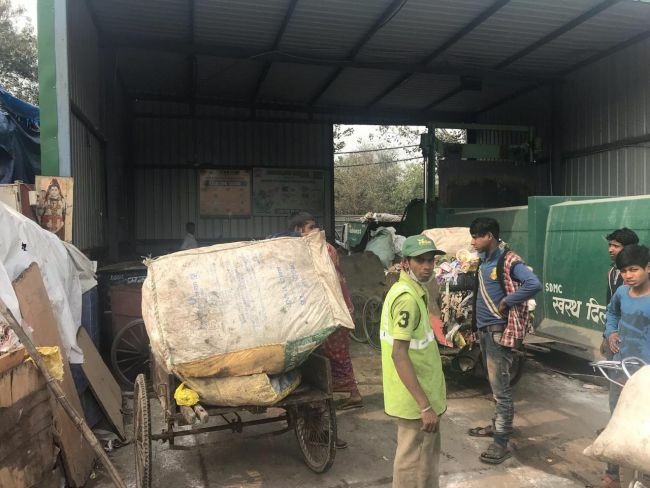 On the other hand, the sanitation workers who are going door to door for garbage collection have no bins for collection, the waste is being collected in a small cycle cart, with no distinction of different kinds of waste. Nothing as of now has been told to us, we have been collecting waste like this from starting. Whatever waste we collect from the area we come and drop in these dustbins. No, the municipal corporation has only told us to collect waste from the colonies. Some of the people living in shelter homes come to the kachra ghars to dispose of their waste while many simply throw it in the backyard. Waste management is a very new concept, we all are all trying to progress towards it in a stepwise format. We have first laid the foundation of the twin-bin system in place, now we are slowly moving towards awareness process which will help us achieve waste segregation at source. Currently we are looking at managing housing societies waste only, we will soon draw out a plan which will also include waste management in shelter homes or neglected slum areas. In New Delhi, nothing can be changed until unless there is a clear cut policy on waste disposal. The problem in Delhi is that there is no single authority responsible on the way we manage waste. 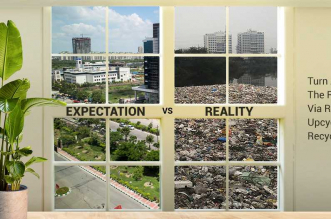 It is very evident that waste segregation is not done well in the city. Chitra Mukherjee, the Head of Programs for Chintan adds, “The problem in the city is inaction from the authorities. Everybody thinks the job will be done by someone else. No one is taking the responsibility or the ownership of handling the waste mess. 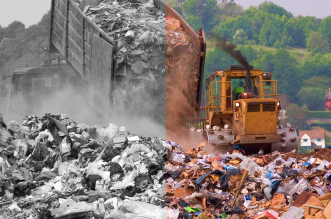 In slums or waste pockets management of waste is very easy, because one can find the waste managers within the society, moreover, waste generation compared to urban people is much less. But since the authorities ARE neither giving facilities nor doing anything, the waste management game is going down the drain in all these areas.